Tamika Catchings of the Indiana Fever poses during the WNBA Inspiring Women Luncheon at Pier Sixty at Chelsea Piers on September 10, 2012 in New York City. Tamika Catchings pulled her outfit together with a pair of kitten heels. 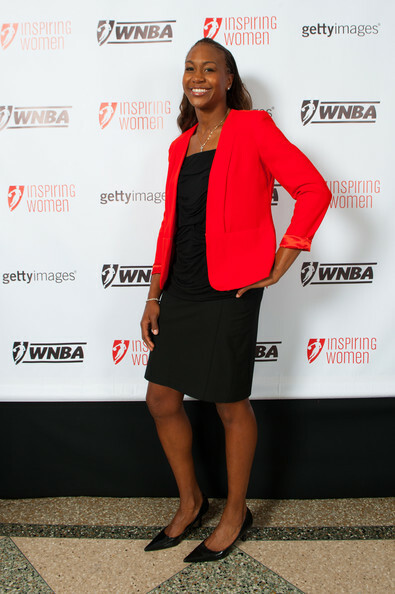 Tamika Catchings layered a crimson blazer over a little black dress for the WNBA Inspiring Women Luncheon.